Marjorie Rawle talks with a group of ten New Orleans-based artists who are painting portraits of each other one by one. A portrait of Patch Somerville by Jeremy Jones. Courtesy the artist. Just from its title, Painters Painting Painters, ten New Orleans-based artists working in the same medium and on the same subject month in and month out, might sound like the perfect recipe for redundancy. As its name implies, the group—which consists of Kevin Brisco Jr., Aaron Collier, Natori Green, Peter Hoffman, Jeremy Jones, Erica Lambertson, Kaori Maeyama, Patch Somerville, Maddie Stratton, and John Isiah Walton—has tasked itself with creating painted portraits of each of its ten members. When I contacted a few of the artists, who currently have a show on view at the New Orleans Center for Creative Arts’ Kirschman Artspace, Jones joked that the idea might be “a little absurd and even incestuous,” and Maeyama wondered what the future holds “after [they] finish painting each other to death.” But beyond its alliterative label and these light-hearted jests, Painters Painting Painters contains a diverse range of artists whose convening shows how crucial the simplest of connections can be in the search for a genuine celebration of individuality. The idea for the collective arose last spring as Jones neared the completion of graduate school—where assignments, deadlines, and critiques often keep young artists connected and driven—yet Painters Painting Painters retains none of the rigor associated with higher education. For its structure, the group has a set of bare-bones stipulations: a meeting time (one Sunday per month where reference photos and sketches are made of one of the members and last month’s portraits are brought in for viewing), a modeling requirement (each painter must model once), a medium requirement (anything you can argue is a painting), and a size limit (a maximum of three feet for exhibition feasibility). A portrait of Erica Lambertson by Natori Green. Courtesy the artist. This kind of flexibility is perhaps the strength of the project—and it’s telling that, after just a few months of working together and with only four members’ portraits painted, the group almost unanimously describes itself as a fellowship or a friendly meeting of minds more than anything else. There’s not complete freedom in their model, but perhaps there is just the right amount of structure to imbue a sense of dedication and attachment both to the project and to each other, and to create some incisive and individually beautiful portraits. A portrait of Jeremy Jones by Erica Lambertson. Courtesy the artist. Focused more on process—and people—over product, the idea to exhibit the portraits wasn’t even on the table when the group first assembled. 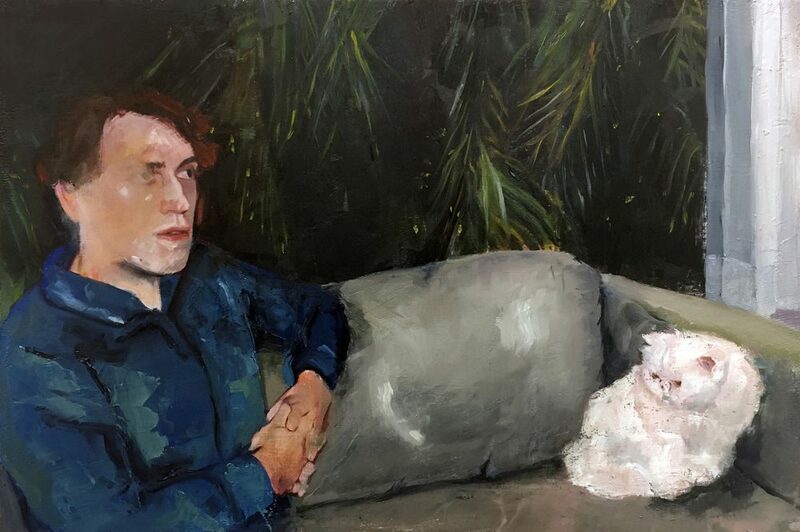 The show at NOCCA was organized by member Maddie Stratton and contains a grouping of 21 portraits of the four painters who have modeled so far as well as a few personal works from all ten of the group’s members. Visitors get the chance to see Jones, Somerville, Lambertson, and Hoffman from not one, but three angles: as painters painting painters, as painters being painted, and as painters in their own practices. 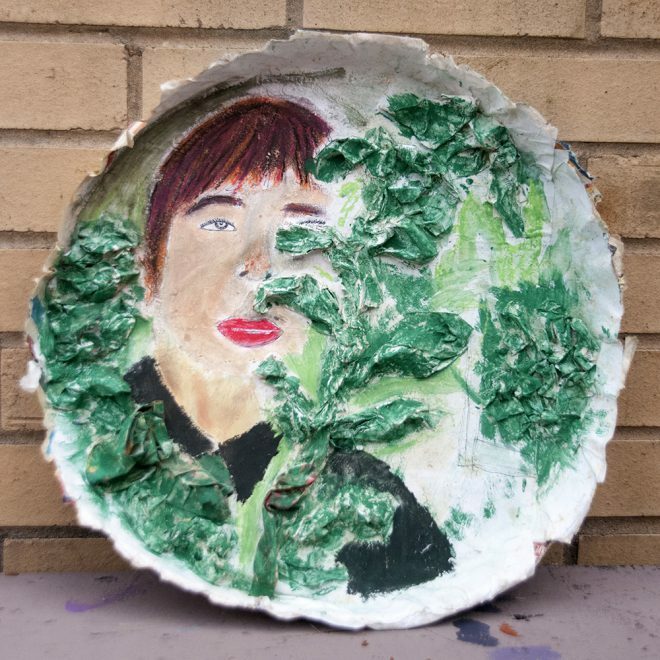 Eventually, though, portraits by and of all ten members will be on display together, giving an idea of what can happen when we’re sincerely interested in seeing, understanding, and honoring—whether through paint, conversation, or other simple actions—the people sitting right in front of us. 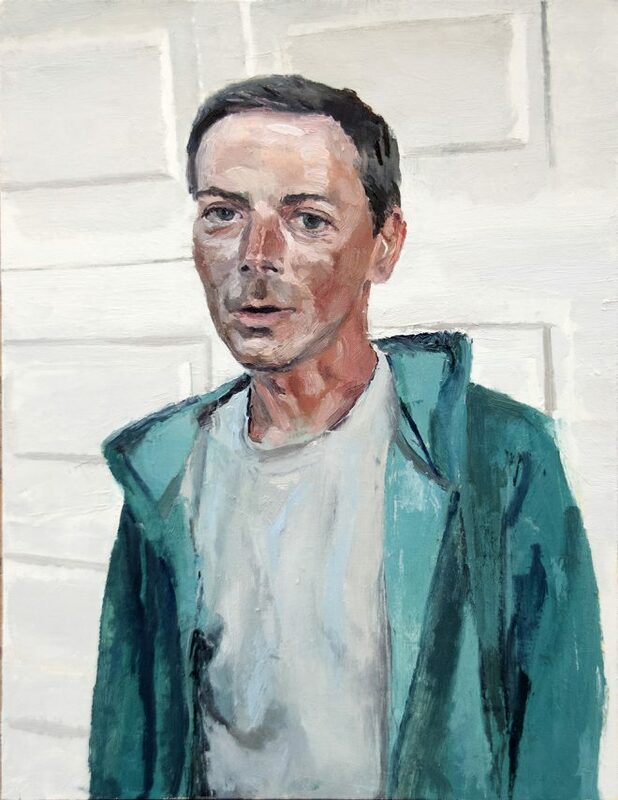 A portrait of Peter Hoffman by Patch Somerville. Courtesy the artist. “Painters Painting Painters” is on view through April 22, 2017, at the Kirschman Artspace at the New Orleans Center for Creative Arts (2800 Chartres Street).